The DS has already been through two versions and one would think the last version holds few incentive to buy, especially considering the loss of Game Boy Advance cartridge slot and the amount of devices that can already do what the DSi is offering. In any case two things are for certain, The Japanese people know how to stand in line on launch dates and Nintendo knows how to sell handhelds (the DS is now the biggest selling portable sytem ever). 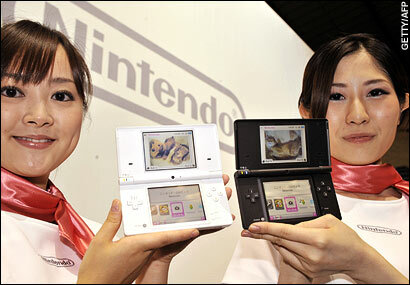 As a result the DSi launched on November 1st in Japan and sold 170,779 units within 48 hours. Nintendo is of course already shipping 100,000 more units to store while we wait for a date for North American and European releases.